Bradley Whitford (born October 10, 1959) is an American film and television actor. 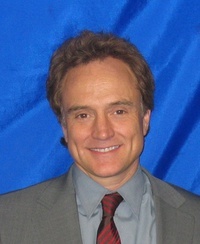 He has played White House Deputy Chief of Staff Josh Lyman on the NBC television drama The West Wing, Danny Tripp on Studio 60 on the Sunset Strip, Dan Stark in the Fox police buddy-comedy The Good Guys, Timothy Carter, a character who was believed to be Red John in the CBS series The Mentalist, and antagonist Eric Gordon in the film Billy Madison. Whitford was nominated for three consecutive Emmy Awards from 2001"2003 for "Outstanding Supporting Actor in a Drama Series" for his role on The West Wing, winning the award in 2001. This role has also garnered him three consecutive Golden Globe Award nominations for "Best Performance by an Actor in a Supporting Role". This webpage uses material from the Wikipedia article "Bradley_Whitford" and is licensed under the GNU Free Documentation License. Reality TV World is not responsible for any errors or omissions the Wikipedia article may contain.